GLOV present the Crystal Clear Set; an effortless, efficient and simple way to cleanse skin without the need for a cleanser, perfect for travel or as an everyday solution. 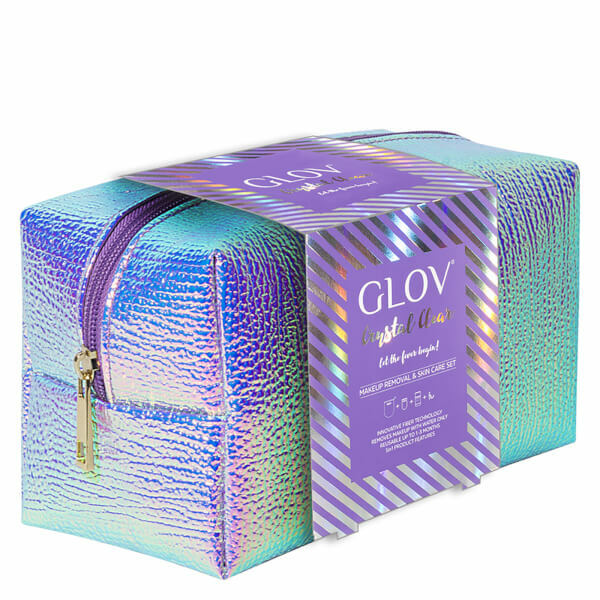 Presented in a re-usable holographic cosmetics bag, the kit provides an innovative solution for refreshed and purified skin. Utilising advanced microfibre technology, the cleansing glove contains refined fibres up to 30 times thinner than a cotton pad, which boast electrostatic properties to absorb makeup, dirt and excess oil like a magnet without the need for a facial cleanser. The delicate and naturally antibacterial glove delivers a light yet effective clean with a gentle peeling effect to unveil skin that feels fresher and revitalised. 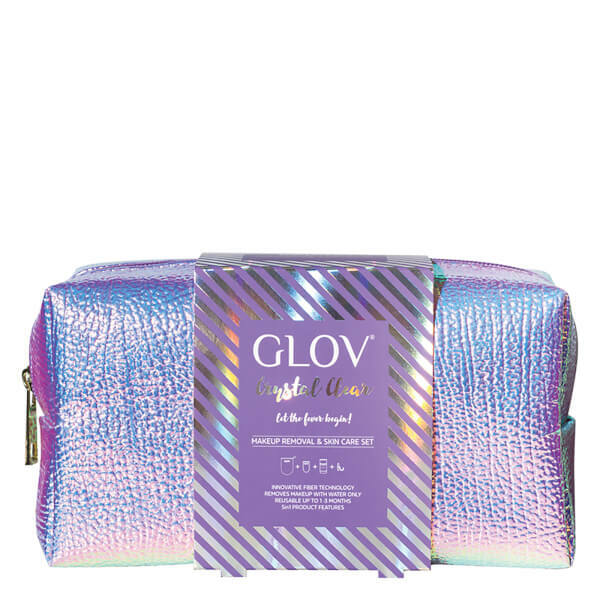 A special formulation that cleanses and removes makeup from GLOV cleansing mitts and brushes. Free from chemical foaming agents, the travel-friendly cleanser is delicate yet effective; it delivers exceptional cleansing results to leave makeup brushes and GLOV fibres looking clean and refreshed. Infused with a natural Orange Oil fragrance. Ideal for removing stubborn and heavy makeup in difficult-to-reach areas, the smaller, more compact shape is perfect for quick makeup corrections, banishing panda eyes after a long day or windy weather. Moisten the GLOV with water. Gently rub over skin to remove makeup, flip over to clean side for a double cleanse. Hand wash with a bar of soap after every use. Hang it for fast and easy drying.